You know those memes you see about the mom who shows up at the carpool line with her hair and makeup done? You know the ones… where the brave, sweatpants-wearing moms are judging the “over the top” mom for being put-together. Well, that’s me… the put-together [step]mom, and I’m not afraid to brag about it. Not from an area of pretentiousness, but as a person who used to be messy. I used to be a procrastinator… a “you’re lucky I made it here at all” sort of person. When I was a freshman in college, my roommate called this pile of clothes of mine “Mount A” (“A” for Ashley). Those of you “messy types” know exactly what I’m talking about: the pile of clothes that accumulates on your bed throughout the day, then you move it to a chair while you sleep. Over time, the accumulation of clothes really did become mountainous. At first, I didn’t think much of it. Several days in, I thought about scaling the mountain by putting everything away, but didn’t. A couple of weeks later, it seemed too overwhelming to tackle. Then, about a month in, I realized that it was no big deal. I decided I could easily live with “Mount A” at my bedside. Who needs a desk chair in college anyway?! It wasn’t hurting anyone, so no harm, no foul. It wasn’t until the end of the year that I realized the implications “Mount A” had on my first year of college. I deprived myself of a sufficient work space. My room was cluttered, so my mind was cluttered. I thought I was managing my time well that first year of college, but I wasn’t. I let an important priority- the cleanliness and organization of my dorm room- fall to the back burner, and I let an important person—my roommate—silently suffer as well. As a freshman in college, I didn’t make time for all of my priorities. I found out quickly that I had to start keeping all of my ducks in a row, or I would crack under the pressure. It took years of trial and error to craft my personal philosophy on organization to ensure both my future success and my mental health. By the time I met my husband, I was truly “adulting.” When we moved in together and I started being responsible for his daughters while they were in our care, which turned out to be a smooth transition. 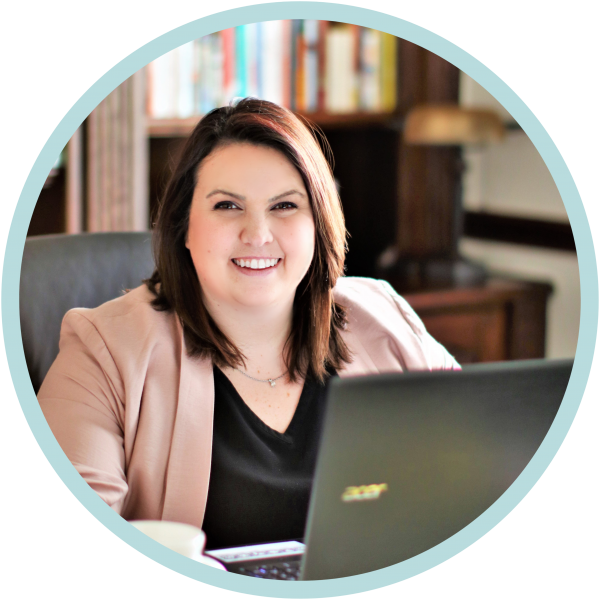 Not because we have no blended family drama (because we do), and not because I’m some sort of professional stepmom (although, my position with this business may say otherwise)… but because I never slacked off when it came to the logistics. I never slacked off—and still don’t—because little people rely on me. My husband relies on me. I have real responsibilities that have to be taken seriously. If you’re a “messy bun and getting stuff done” advocate, and if you’re actually “getting stuff done,” then this message isn’t for you. 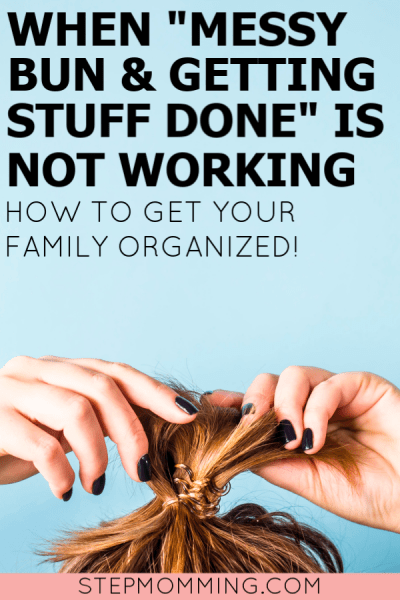 BUT if you’re a mama whose motto is “messy bun and trying to get stuff done, but overwhelmed, and also Netflix, and I’m exhausted… plus, I’m making fun of that put-together mom in the carpool lane because I’m envious,” then pay close attention to this next part, because I’m speaking to YOU! You have to take proactive measures and plan ahead to avoid things piling up, as well as to keep your anxiety levels at a minimum. There are several things that should be done before going to bed: Pack all lunches for the next day, make sure all outfits are picked out, and tidy up your main living spaces (including your kitchen, living room, and master bedroom). Before bed, take a look at your calendar for the next day to be sure you’re anticipating and prepared for what’s to come. Talk to your husband about the next day and make sure that all logistics are mapped out. There are even things you can do a week in advance, such as planning out dinners. Granted, my husband does all of the meal planning and cooking, but him planning it out in advance certainly helps keep the ship afloat. The worst way to start your morning is to be rushing around. The more you prepare in advance, the less stressed you will be in the morning! This one is important! Set your alarm early to ensure you can get showered and dressed before the kids wake up. Yes, this may mean you’re waking up at 6 am, but trust me, you will adapt! 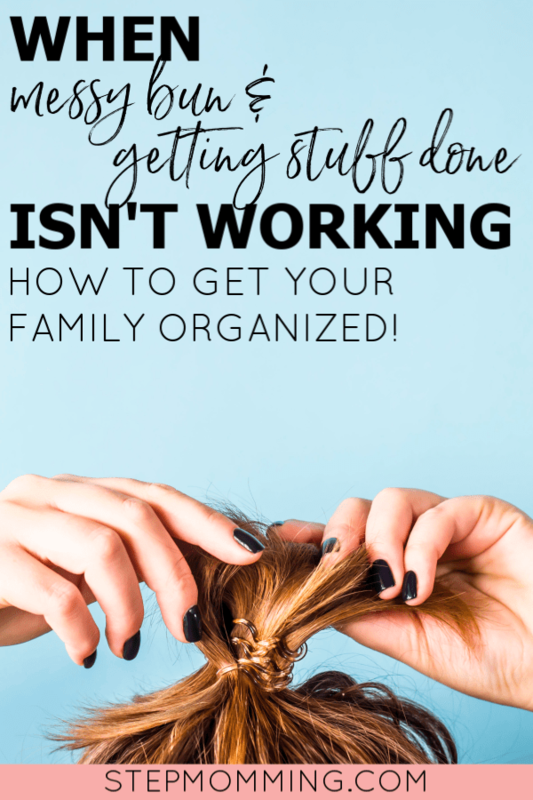 Trying to get yourself ready while the kids are up and getting ready is a recipe for disaster, especially if your kids need a lot of help in the mornings. To stay on top of everything, you have to find a good calendar system that you can share with your family. For us, it’s a shared Google calendar. For some, it’s a command center in the kitchen. You have to find what works best for everyone, then dedicate yourself to it. Everyone has to be on the same page for a family to operate smoothly. When everyone can see all of the family’s upcoming events and a running to-do list, it keeps stress levels down. You read that right… seeing all of your responsibilities laid out in front of you actually keeps stress levels down. Since your car is your second home, it’s important to keep it neat. For my husband and I, this is simple to do by following one rule: what goes into the car, must come out of the car. In the spirit of feeling put-together and keeping your stress levels low, maintaining a clean vehicle really is imperative. If you’re reading this and thinking, “Wow, it would take me years to clean out my Suburban,” start now. Make it a family affair and get the kids to help! If they can walk and hold small items at the same time, they are old enough to help. Once it’s clean, switch to the “what goes in, must come out” golden rule, and your life will be forever changed. Stop envisioning packing lunches, reviewing homework, making beds, mopping floors, or feeding the dog as chores. This is your life—a life you are blessed to be living! As with everything in life, your outlook on the situation will make or break you. Stop feeling personally victimized by the standard responsibilities of being a parent and housekeeper, and start taking ownership of them! I don’t love getting up at 5:30 am some days to get two kids and a dog to where they need to be and get myself to work, but I never complain about it. I am living the dream! This is what we all signed up for… a family, which comes with vital responsibilities. These are responsibilities that I take on with great pride. Your family is relying on you. If you’re feeling overwhelmed, disorganized, or just plain messy, consider the implications you may be having on your family. Do you think your children pick up on your frantic morning shuffle around the house? How do you think that impacts their morning? What type of mindset do you think they enter school with? Do you think your children like you dropping them off late at school every day, or you showing up to a classroom function late and disheveled? What about your husband? Do you think he enjoys the surprise of a last minute phone call demanding he pick up supplies from the store on his way home that you’ve known you needed for weeks? I didn’t realize how “Mount A” affected my roommate until it was too late. Now for you, mama, the stakes are even higher. There’s more on the line. You have to work on yourself. They need you to give it your all, every day. Start today. Pick one thing to start being proactive about today, and commit to it. Once you’ve got that one thing under control, add something else. Keep it up until suddenly you blink and realize you’re totally crushing it at this whole “mom” gig. Trust me, your family will thank you later. P.S. Looking for a family planner to stay organized? 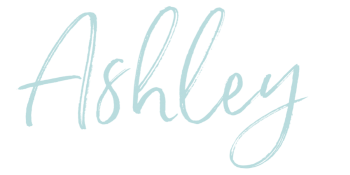 Check out this FREE planner designed for busy moms!